The Doctor and Romana are called to Cambridge – 1979 by an old friend of The Doctor, Professor Chronotis. It seems that he “accidentally” brought a book back with him from Gallifrey. It is not just any book; it is one of the artefacts created by Rassilon in the old days when the universe was young. The Doctor, Romana and K9 must find the book before Skagra, a power crazed scientist, finds it. The book has a special power in that it can lead the person who possesses it to Shada, an ancient prison planet of The Time Lords. Shada has had a rather turbulent history. It was eventually released (or the parts that were filmed of it) on VHS in 1992. Next, it was turned into an audio drama/webcast by Big Finish but instead of Baker’s Doctor it starred Paul McGaan. Now, Shada has, after thirty three years, got the novelisation treatment. Gareth Roberts is one of the best writers the series has produced. From The Unicorn and The Wasp to Invasion of the Bane, Roberts has written many great books and stories of the series. His sense of humour prevails throughout and makes what could be a dangerous situation lighter hearted. Adams’s rapier wit (taken by Robert’s from Adam’s original Script) includes dialogue such as: “Oh, it’s just the undergraduates. I’ve tried to have it banned.” Combine this with Robert’s fabulous mentioning of rogue Timelords from the shows past and present, from The Corsure (The Doctor’s Wife, 2011) to the Rani (Mark of The Rani, 1985, Time and The Rani, 1987, Dimensions in Time, 1993.) and even a mention of Adam’s classic book series The Hitchhiker’s Guide to the Galaxy means the book is a joy for a science fiction fan to read. Some may find the fact that he mentions several Timelords to be a tad self-pleasing on Robert’s part but I find it delightful. To hear Professor Chronotis mention his love of shops in the same words as the Tenth Doctor just makes that part of me jump and down with joy. Yes, it’s sad I know, but aren’t we all in the fan world? Tom Baker’s Doctor is brought to life effortlessly by Roberts. Adam’s portrayal of the fourth Doctor was excellent. Subsequently, by using the original scripts, Robert’s increases his already (his previous books for the Missing Adventures range back in the 90s.) excellent written version of Baker’s Doctor to its heights. From facing off Skagra, early on in the book, to the end of the book, you see that Robert’s version of Baker has improved slowly over the years from his first effort, The Romance of Crime. It is so truthful that it now sounds like Baker is reading the dialogue. Marvellous is the best word to sum up The Fourth Doctor in Shada. In the following quotation, we are allowed into Skagra’s mind. Robert’s depiction of the mad scientist’s mind is believable as his thoughts are violent but bordering on the hysterical which gives it a touch of humour. Shada quotation, Part Five, Chapter 54, Page 296. 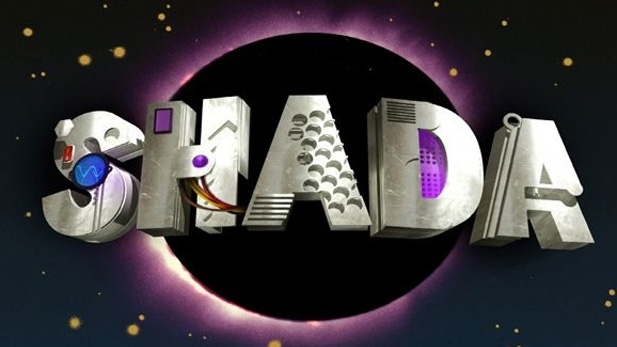 Shada is one of the best Doctor Who novels of recent time. It has wit, romance, action and a big dollop of adventure. Gareth Roberts has done what many lesser writers would struggle to do: bring back a lost story; give it a dash of his own creativity but still keep the genius of Douglas Adams at the core of it..